Is Pentagon’s ‘Security Cooperation’ Office Too Cooperative With Israel? U.S. Secretary of State John Kerry left Israel without achieving his goal of negotiating a ceasefire. Meanwhile, former New York City Mayor Michael Bloomberg's protest against the FAA's flight ban (sort of) yielded results. Each man arrived in the country just hours ago with a plan in mind. For Kerry, it was to get Israel and Hamas to work out a ceasefire to end the seventeen-day conflagration that has caused the deaths of approximately 700 Palestinians, broughtover 2,200 rockets down upon Israel from Gaza, and frozen nearly all international travel to Israel. Everyone wanted us to accept a ceasefire and then negotiate for our rights, we reject this and we reject it again today." 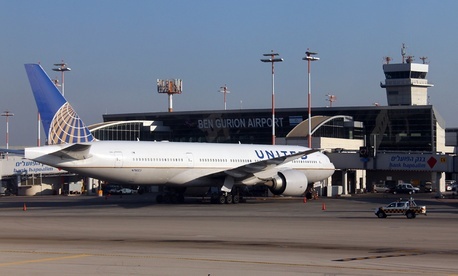 Bloomberg's trip was a crusade against the FAA, which issued (and then renewed) a ban on flights to Israel after part of a Hamas rocket landed near Ben Gurion Airport outside of Tel Aviv on Monday. As we noted earlier, the ban had engendered some opposition and also threatened to put Israel's economy on precarious footing. Hours after the prohibition was announced, Bloomberg hopped on a flight to Israel operated by El Al, Israel's national airline, which had continued its normal routes to and from the U.S. He was met at Ben Gurion Airport by Israeli Prime Minister Benjamin Netanyahu and later met with Jerusalem Mayor Nir Barkat. On Wednesday, the former mayor (and trained pilot) stuck it to both CNN's Wolf Blitzer and the FAA in one terse interview. Blitzer tried to explain that he wasn't making an accusation, but Bloomberg was having none of it. Bloomberg went on, comparing his decision to fly to Israel to the quick efforts to reopen Lower Manhattan in the months following September 11th. It's been a while since I heard @MikeBloomberg tell off a reporter. In a particular effective piece of live television theater, Bloomberg put a shell-shocked Blitzer on the spot and asked him if he felt secure in Israel. Blitzer answered yes. Hours later, the FAA ban was not renewed. When the FAA also announces it's banning large sodas, we'll know exactly who made this all happen.